In October 1856, the Rev. John Kilian was sent to the Lake Mills area to form a church among the German settlers. The group first worshipped in a brick school building overlooking Rock Lake and that same year, twenty-five settlers formed a congregation. 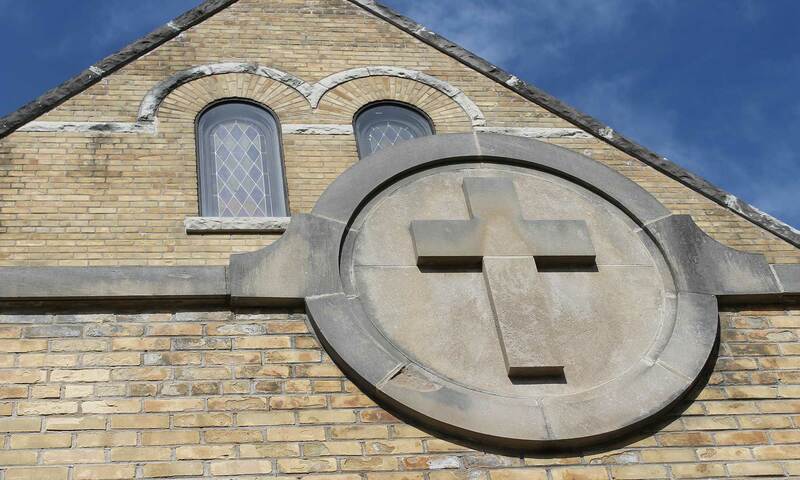 After rapid growth, a new sanctuary was built at our present location and by September 1889, with over 500 members, a new addition in the shape of a cross was begun. Within the last 20 years five sons and two daughters of the congregation were ordained into the Moravian ministry, to serve congregations throughout the Northern Province. The Moravian Church is one of the very few Protestant churches to antedate the Reformation. It had been in existence for 60 years when Martin Luther posted his famous thesis in 1517. The Moravian movement began in Moravia and Bohemia, now parts of the Czech Republic, when the Roman Catholic Church dominated all of Europe. John Hus, Rector of Prague University, recognized the excesses of the church and began using his pulpit and his brilliance as an orator to preach the abuse of church power. He looked to the Bible for the word of God rather than to the pope. He also held that individuals could talk to God without an intermediary, and that the Bible should be available to all in their own language. Senior High Youth, Middler Youth and Adults have gone on mission trips to Antigua, North Carolina, New York City, Milwaukee, and Alaska to: work with the homeless; repair and build new structures, and to spread the love given to them by Jesus Christ. The church also supports the local food pantry and area homeless shelters.